Our kitchen is quite a decent size, but also quite limited with space at the same time. There are only certain places we can keep things. Next Year we are going into talks about looking for a quote to add an extension to our home, which will mean we will have an open plan kitchen diner which I'm really excited about. It's going to look so much bigger and a lot better than it looks now. We will all have a lot more space to move about and be able to put things where we want. 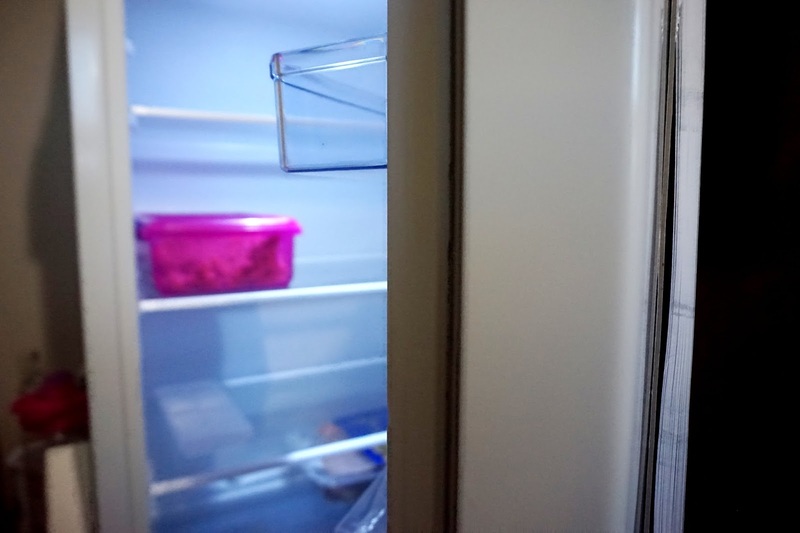 Talking about changing things in the kitchen, something else I really wanted to update was our fridge freezer. As a family of five now we need a lot more space in the fridge. 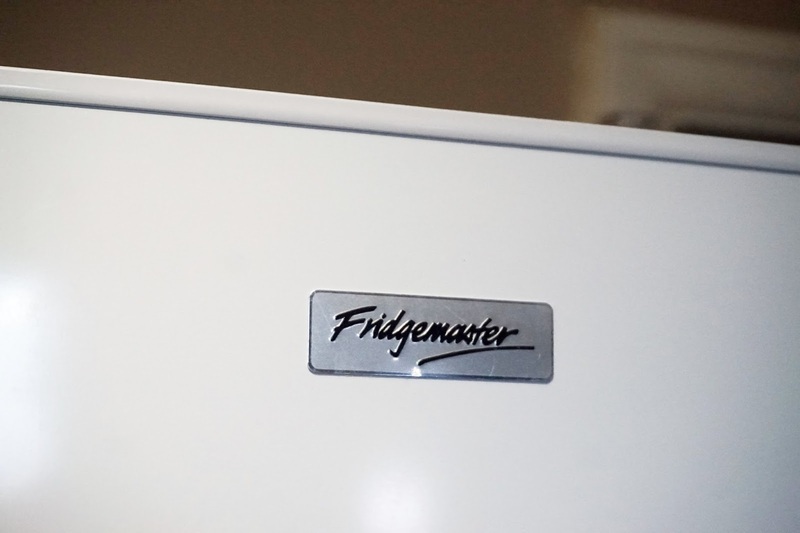 Luckily, we were given a chance to review a Fridgemaster Fridge Freezer from AO.com. 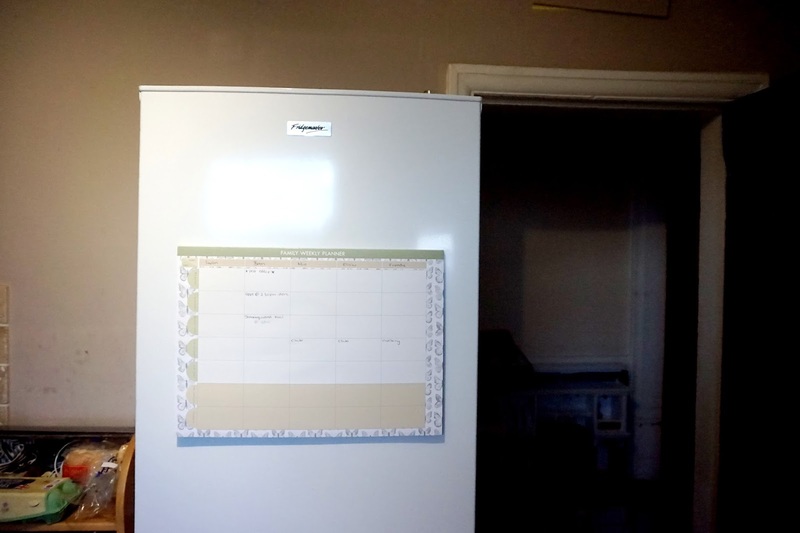 The minute my partner took the fridge freezer out of the box I was pleased with how it looked. The height and width was the perfect fit, and the door handles added that extra touch to let it have that modern look. 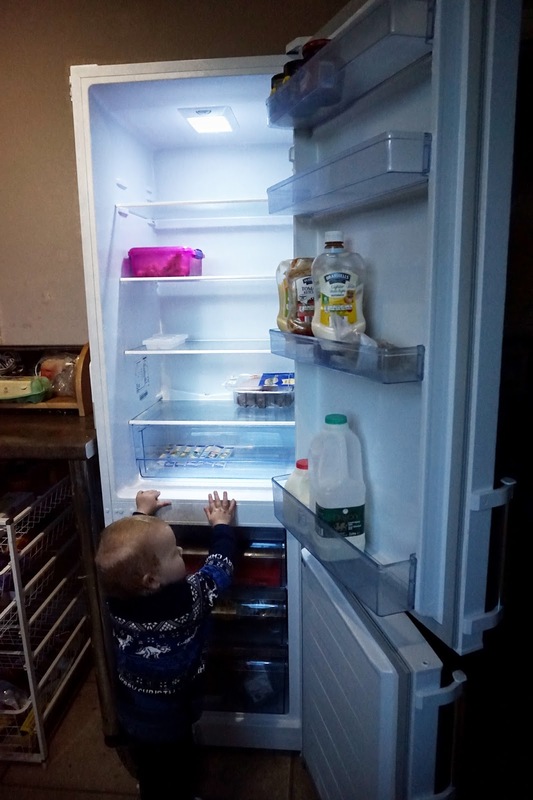 The fridge itself is very spacious, and I was overly pleased with the size. I was also pleased with the shelves on the door too, the bottom shelf is perfect for stocking large 1-litre bottles - we had trouble in our previous fridge. There's also a drawer at the bottom which is perfect for stocking fruit and veg or anything else you want to store away. It holds a rough 14 bags of food shopping which is perfect for small and large families. We are a family of five, and it's been great for us. 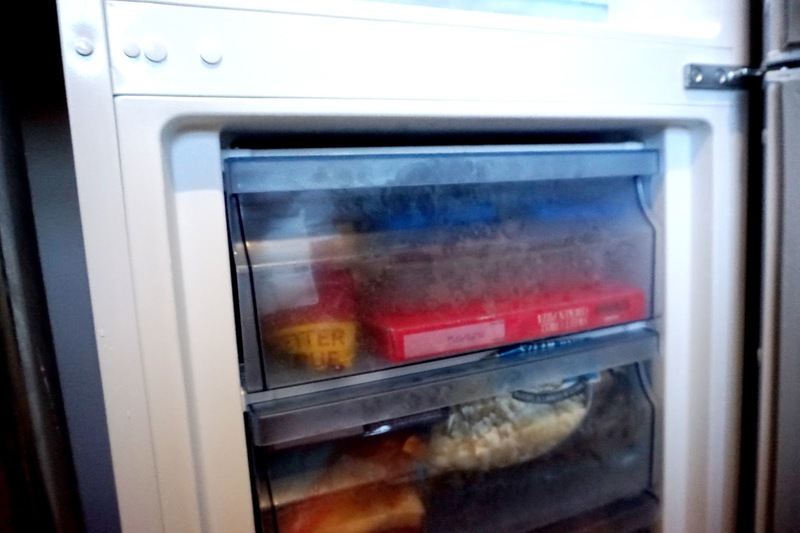 The freezer is smaller in size compared to the fridge. There are three drawers but the drawers are quite spacious, and we have managed to fit in quite a fair bit of food into, which I'm pleased with. 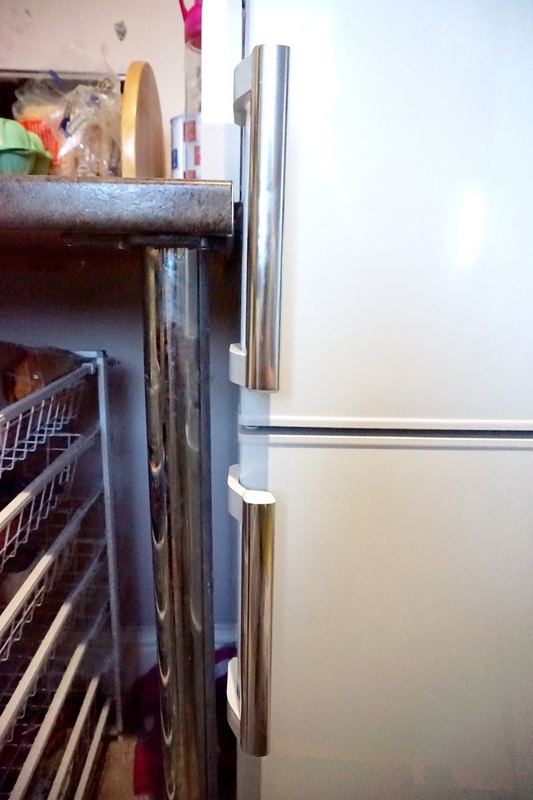 The fridge and freezer hold their temperatures well, and it's quiet too which is great. An ice cube tray is also included. Overall, I am really pleased with this fridge freezer. The build and look is brilliant for the price (£259.00). It's great space for our weekly shop and fits everything that we need. I would personally recommend this fridge freezer to anyone who is looking for a good spacious and nice looking fridge freezer. * I was given this product in return for an honest review. All words, opinions and images are my own.